Trap meets on the range every Thursday night around the year and Sunday night from April to November, or as interest is high (check the calendar). NFGA trap is open to the public. Per round prices are $3.75 for NFGA members and $4.00 for guests. As always, safety first! Eye and ear protection are required on the line and ear protection is recommended for those waiting and watching. Our shot size is limited to #8 and #9 only. 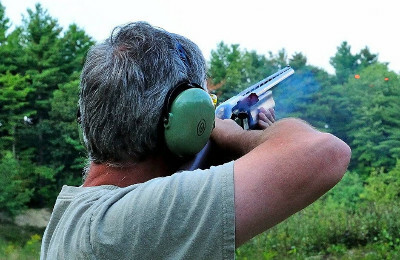 #7-1/2 shot is NOT allowed at NFGA trap field. Contact the Trap Governor using the form below for more information about shooting trap at NFGA.